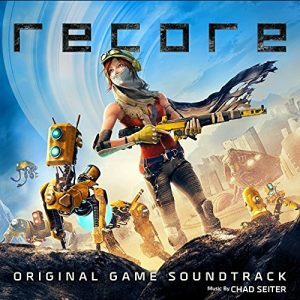 I don’t know what I expected when I first listened to ReCore, the first major game soundtrack from Symphony of the Goddesses co-creator Chad Seiter. On one hand, I have thoroughly enjoyed Seiter’s past orchestrations and arrangements, but it’s hard to mentally translate that into composition ability. The game itself has been met with mixed reviews, I didn’t see a particularly strong musical direction suggested by ReCore‘s artwork and design; I had been expecting something along the lines of a Halo-inspired orchestral score, packed with brooding strings. Instead, I was pleasantly surprised at the tenderness of the opening track, “ReCore – Main Theme.” Laura Intravia gives a beautiful vocal performance – presumably representing the main character of the game – with a soulful melody that wanders across the five-minute track. The following few tracks take more in-depth looks at the rock elements of the soundtrack. 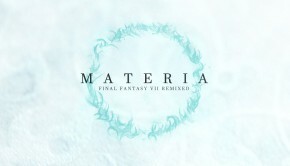 Both “Welcome to Far Eden” and “Granite Steps” use a raw electric guitar as a consistent element of the track, reinforcing the electronic element of the soundtrack. As wonderful as the vocals and strings are, the soundtrack is a rock/orchestral hybrid, with the two genres fused together. Tracks like “Lonely Basin” are especially successful with this fusion – opening with a slow strings-and-piano rising motif. Ironically, as the piece picks up pace, its characteristic sound is a quick descending motif with a metronomic guitar keeping a steady tempo. Amid some other more desolate tracks like “The Caverns” and “Not Alone Out Here,” which both use sparser instrumentation to achieve more specific moods, some of my favorites stand out for their progression and variety of sounds. “The Cradle” opens amicably enough with a few guitar riffs and vocals before picking up pace – not unlike “Lonely Basin.” However, as this one continues, it sports a more melodically driven progression, featuring catchy dotted notes and odd little musical riffs that give it much more personality. “Dust Devil” slows down the pace again, but instead of some of the emptier tracks from before, it has a beautiful combination of soft electric guitar, strings and harp. Parts of it sound very western – it has that soft grittiness of Howard Shore’s The Departed or Marco Beltrami’s 3:10 to Yuma, but the prevalence of vocals at the end still give it a unique quality. “Pylon 512” reverts back to the fun, fast-paced tracks of the album with a quick string motif against a slow, drawn-out guitar melody, which fades away all too quickly. This general mood and timbre is also prevalent in “Skull Cracker” which opens a bit more atonally, and “Core Foundry,” which uses a rougher guitar in its opening. I love “Bolt Cutter,” a staccato piece with delightful little harmonies and motifs that give the track a very youthful energy. Opening with a quick touches of strings and light pitched percussion, the piece transitions from a patchwork collection of harmonic flurries to a deeper, melodic track, complete with a tempo increase before it ends. I also especially enjoyed the use of brass towards the end, which gave the piece a weightier ending note. The closing tracks of ReCore use the same instrumentation to conclude the album, although they stand out stylistically. “Prime Core” opens ominously at first with darker, slurred strings that move to a more hopeful key as more instruments join in. At first, the piece fades to a more ambient sound, punctuated by sharp chords and casual guitar, but as it continues towards the end, new musical styles start surfacing with the now-familiar instrumental setlist of the soundtrack, giving the piece its own identity within the context of the soundtrack. Clocking in at just over six minutes, “Prime Core” is easily the longest track on the album, and by its powerful ending, we have heard shouted choral notes, some kind of lyrics, and a dramatic glissando that bridges one dramatic section to another. In contrast, “You’ve Never Been Alone” starts so softly that I at first assumed it was a rapid decrescendo section ending “Prime Core, before I noticed that I’d moved on to the next piece. It’s difficult to tell where the track is going for the first half or so, as it seems to waver between tense, dissonant notes and uplifting sections. By the end, it’s one of my favorites – the wide choir and moving chords bring the piece to an amazing conclusion. 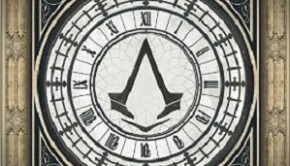 Aside from the ReCore trailer theme, the final track on the album is a rendition of the main theme with Tina Guo playing the melody on cello. 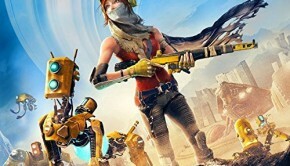 The track is an extremely fitting conclusion, bringing together the raw instruments with an electronic/rock filter that seems to be the stylistic theme of ReCore’s soundtrack. And Guo’s contribution is fantastic; the cello is rich, full, and packed with articulation that gives the reprise a very good reason for being on the album. Chad Seiter’s breakout soundtrack is delightful to listen to. While some tracks stand out more than others (and it is often difficult to tell where one track ends and another begins), the overall sound of the album is refreshing. The combination of acoustic strings and vocals with raw guitar and percussion is not necessarily new, but is crafted so well on this album that the beautiful resulting score is a treat. Those interested in ReCore Original Soundtrack can preview and purchase the album on iTunes. Posted on November 9, 2016 by Emily McMillan. Last modified on November 9, 2016.